With all those full-body scanners, cavity searches, and other TSA horrors, America's airports are totally safe, right? Wrong. Turns out, a LOT of people climbed fences, snuck past guards, and even rammed cars into security gates -- all in the name of bypassing checkpoints, according to a new report by the Associated Press. 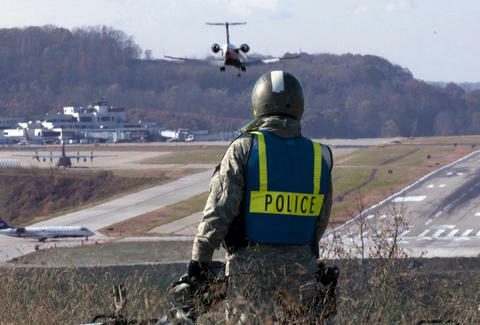 The AP surveyed 31 airports, collecting data from 2004 to the present, and found 268 perimeter security breaches. The actual number is likely higher, as some airports claimed to not have full data for every year. In addition, the high traffic airports of New York City and Boston's Logan International Airport would not release any data. These major airports claimed handing over their data would present “security concerns.” Well, yeah. The king of faulty security? Apparently, it's the city by the bay; San Francisco International reports the most security breaches, with 37 this decade. LAX came in third, with 24 breaches. One man in LA actually kept coming back for more, bypassing security eight times between April 2012 and March 2013, making it to an airplane entrance point twice. But don’t swear off flying just yet. If there is a bright side to this story, it's that none of the breaches were part of a larger terrorist plot, and many were attributed to intoxicated or mentally unstable people who didn't pose any real threat. However, knives and handguns were occasionally found on these “harmless” individuals. Regardless of the severity of the incidents, the fact that anyone at all jumped over a fence and made it to a plane is certainly something worth being concerned about.